I’ve been a bit lazy lately. 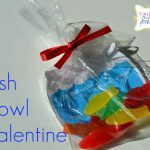 Would you believe I actually went to the store and bought Super Hero Valentine’s and Goldfish packets for my son’s class Valentine party? Yeah. Me niether. I let him pick them out, feeling guilty the whole time. Why should I feel guilty though? I mean, I’m a working mom, I have tons of stuff to do, there’s nothing wrong with giving a 3 year old a store bought Valentine. Big deal. So I got them…last week. 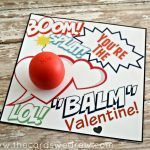 Monday this week rolls around and I texted my husband,” I’m going to Target after work today to return those hero valentines. I feel guilty using those. I’m better than that. LOL” I mean, I’m a craft blogger/party planner for crying out loud! It’s like sacrilegious to NOT put together a handmade Valentine for my son’s class…so off to Target I went to find what I really wanted to do. 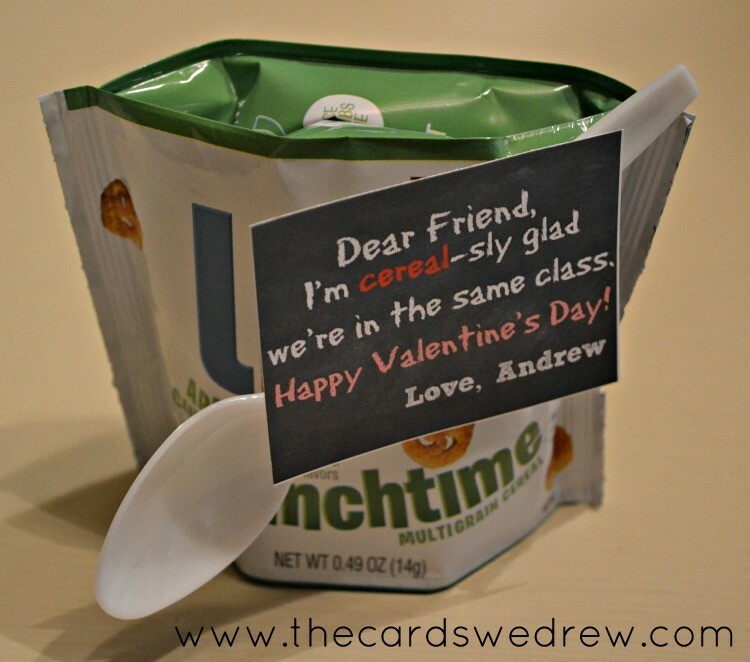 Andrew LOVES cereal, so I thought that a cereal themed Valentine would be perfect. 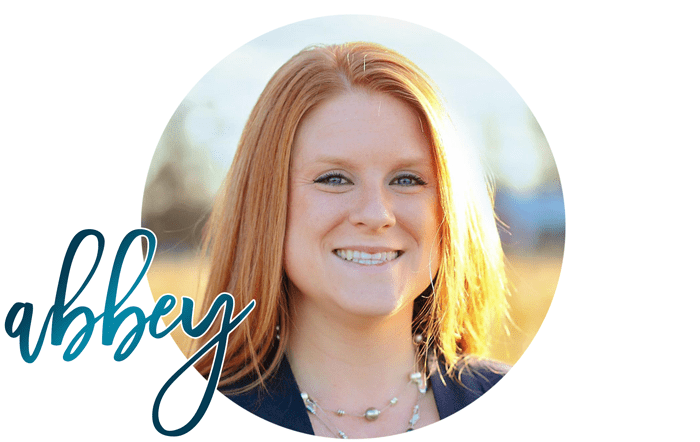 I made a cute little tag for it and came up with this…. 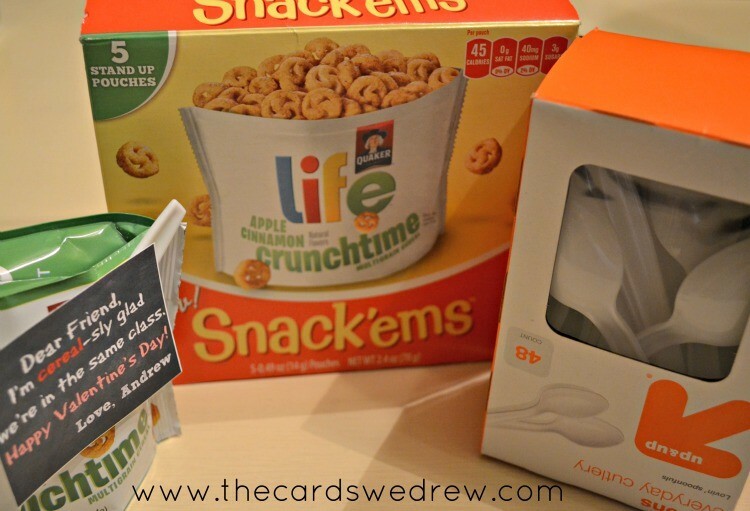 The packs of cereal were $2.99 per box of five and then I bought the spoons for $1.99. 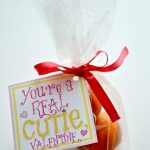 They’re definitely more expensive than store bought, but they are cuter, homemade, and it’s not candy!! 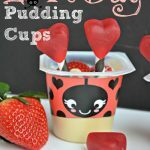 If you’re looking for more Valentine’s ideas, don’t forget to check out my DimplePrints Valentine’s Roundup of ideas here.